Li Wei Yang, Curator of Pacific Rim Collections, Huntington Library, Art Collections and Botanical Gardens, will discuss his discovery of a unique, sixteenth-century, Chinese encyclopedia at the Huntington Library. 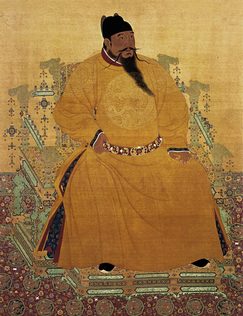 It was commissioned by the Yongle Emperor in 1403. Event will be on Monday, May 6. For more details of the program and to purchase tickets, go to Upcoming Programs. Lisa See will talk about her latest publication, Island of Sea Women.Please go to Future Program page for more details. Newport Beach Film Festival 2019 (NBFF) brings Orange County the best of contemporary filmmaking from over 50 countries all around the world. 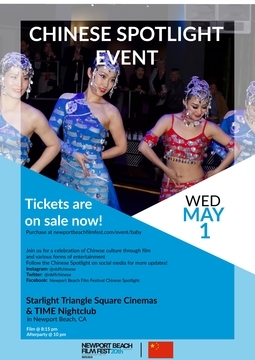 Celebrate Chinese Cinema. Tickets on sale beginning April 1. Pacific Rim Showcase Celebration, honoring the best in Asian and Australian filmmaking. After party to be hosted by Time Nightclub and featuring top entertainment and hors d’oeuvres prepared by award winning Orange County restaurants. Hosted bar by Tito’s Vodka. a 501(c)3 non-profit cultural organization. All rights reserved.